Click on the link to read more about 2018 graduate, Grace Bardes. 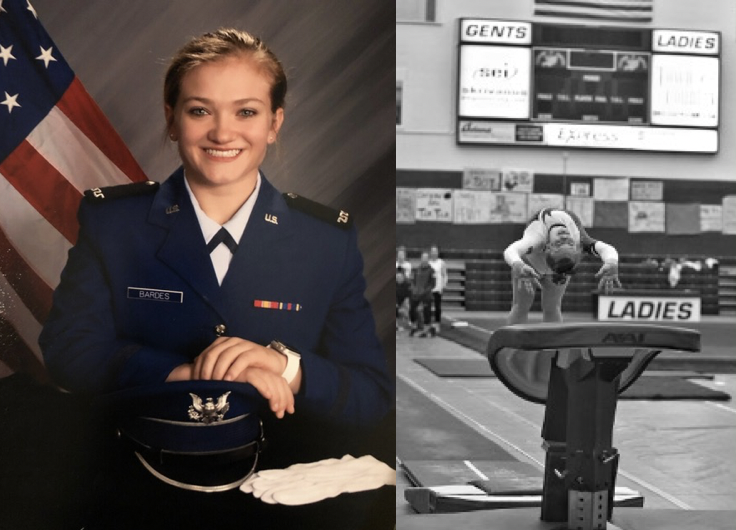 Grace is a member of the Air Force Academy gymnastics team. How long have you been in gymnastics? What is it like being a part of the Air Force Academy team? I’ve done gymnastics since I was 3, so for 16 years now. Being on the US Air Force Academy gymnastics team has been an absolute blast! I’ve met some incredible people that I’ll have by my side for a lifetime and I couldn’t be more appreciative of them. 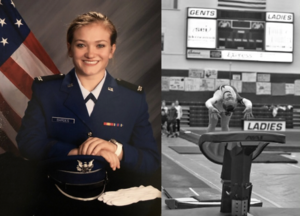 How did you decide to go to the Air Force Academy? Is that something you have been interested in for a long time? I decided to go to USAFA after Doug Day, the Air Force Academy head gymnastics coach, came to scout Gymstars my junior year CHS. I looked into the opportunities available and fell in love with the school and campus. I went to a gymnastics camp and decided this is where I needed to be. What was the biggest surprise about the Academy? The biggest surprise was how little free time I have. I’m constantly working on academics, athletics or military duties, so I don’t have as much time as I did in high school to hangout with friends and have fun. What is a special memory you have from CHS? Was there a teacher who inspired you? I just miss a lot of my friends from CHS. Going to football games and tailgates with them was the best. Jerri Czosek, my counselor throughout high school, was an incredible influence throughout school and the application process to USAFA. She dedicated so much time to helping me and I'll never be able to tell her how grateful I am for that. In addition to Mrs. Czosek, Mr. Setterlund, Mrs. Trahan, Mrs. Collier and Mrs. Martin helped me immensely during high school. I am proud to say I had the opportunity to attend CHS. What is your favorite gymnastics event? My favorite gymnastics events are bars and vault. I plan to serve in the Air Force by going to medical school and becoming a trauma or orthopedic surgeon.